How To Tell If A Psychic Is Real or Fake? Like any industry or profession, there are good psychics and there are bad psychics. And, then, on a whole different level there are fake psychics, bent on scamming you out of your money any way that they can. It is essential to avoid these fake psychics altogether and find one that is honest, ethical, and experienced. You wouldn’t want to visit just any old doctor, lawyer, or accountant, so why would you settle on the first psychic reader you come across? Above all else, the key here is to be patient. Depending on where you live, it can be hard to find a reliable and reputable psychic reader that has an opening to see you. It might take a few days to find a perfect match but believe me waiting to find the perfect psychic will greatly pay off when it comes to your reading. Below are a few more great tips on how to tell if a psychic is real or fake. Fake or scam psychics often ask a lot of leading questions early on in a meeting. This is a technique they use to improve their guessing ratio when giving you a reading. It is also a way for them to find out things you are desperate about – such as a breakup, job loss, etc – and then use this information to scare you. A legitimate psychic generally does not ask leading questions. Instead, they receive their reading and relay this information to their guest without help. Psychic mediums (those that communicate with spirits) should always identify the spirit they are communicating with. They should be able to tell you their name, how they passed, how old they were when they died, and how long ago they died. The best psychic mediums will also be able to describe what they looked like and what their personality was like without asking any leading questions and without any help from you. There is a good chance that a psychic medium that is not able to give you this information upfront is unreliable and probably a fake. An even greater red flag is when they present vague, general information as a way of getting a reaction from you to find out more about your deceased loved one. Any psychic or psychic medium that claims you are cursed or that a spell is upon you is not to be trusted. The curse is one of the oldest scams in the game. The fake psychic uses fear to manipulate you by telling you that you are cursed. They will often claim that they can cure you for a very high fee. Much of the time they will also tell you that they are the only person in the world that can help you get rid of the curse. The biggest red flag of is a psychic that asks for any of your personal information such as your social security number, driver’s license number, or bank account number. There is absolutely no reason why they would need any of this. In fact, as you probably know, you should never give this information out in the first place. 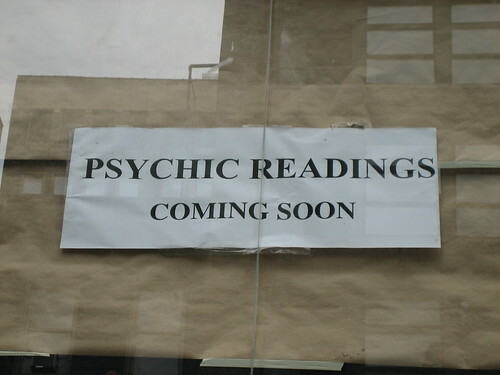 Finding a legitimate psychic really isn’t all that hard. Keep the above tips in mind, be patient, and use your common sense (and gut feeling) and you’ll find a reliable psychic reader in no time at all. Cerakote is a very popular, affordable and easy to use finish that can be used on wood, plastic, polymers and metal. The liquid, ceramic based finish enhances hardness, impact strength, abrasion, chemical, corrosion and wear resistance along with other physical performance properties of the materials on which it is used. Developed by NIC Industries, it is the leading coating used by firearms manufacturers. Many people also have a Cerakote coating added to their rifles and other firearms after purchase. It is highly recommended by firearms owners because of how effective it is in protecting the finish. When Cerakote is to be added to a firearm, that firearm is broken down into its individual parts, degreased and the surface prepared. Cerakote is evenly sprayed on the parts and they are then baked to ensure full cure. Some people opt for air curing Cerakote, but on firearms baking has shown to be a far superior coating method. Applying a thin layer of Cerakote protects firearms without negatively impacting their ability to function. When the bolts are brushed or the firearm has tight tolerance custom actions, special care is required when adding Cerakote. Cerakote can even be used to put a new protective coat on a firearm on which another coating product has been previously used. However, its essential the old coating be removed as part of the prepping process. Pits, rust and machine marks should be removed before using Cerakote because the super-thin coat of Cerakote used does not mask the imperfections that are present. Many people like that because it means all but the very lightest etchings and engravings will remain visible. Some aftermarket coating professionals remove rust, pits or other flaws without charging an additional fee. Cerakote is available in about 90 colors. Silver and titanium are also available. Graphite black is the color that’s most popular. Even the scope of the rifle can be coated scopes to ensure it matches the rifle’s body. Satin or matte finishes are also available for people using Cerakote on their firearms. The coat can be used on the barreled action, bottom metal, mag box, pins, screws, swivel studs, triggers and all other attached metal parts. Jewell and other aftermarket triggers as well as the sear are not coated. Cerakote has proven to be more durable than standard powder coats, industrial paints and even DuraCoat and IonBond in rigorous testing. It can even be used to dip camo without having to apply a clear coat to protect the finish. Cerakote can protect firearms against elevated temperatures, salt spray, fog, oils, acetone, gun scrubbers and corrosive environments and prolong their lives. It can last as much as 12 times longer than many other types of coatings. When it comes to abrasion protection, no other type of coating even comes close to what Cerakote offers. The H-Series Cerakote is the most durable standard Cerakote product while C-Series Cerakote finishes can withstand up to 1700 degrees. Our furry little friends deserve the best type of care. As you know, dogs are susceptible to a number of infections. Dogs with skin folds are more likely to get yeast infections; the reason being the excessive skin folds are suitable breeding grounds for fungal growth. Hot and humid climate. It thrives in these conditions and dogs in this climate are more likely to get a yeast infection. Foods that are high in sugar content accelerate the growth of the pathogens causing fungal infections. Unfortunately, some fungal infections are much worse than yeast infections. Infections such as Candidiasis causes skin lesions, weakness and diarrhea, valley fever causes major respiratory problems and cryptococcosis might require surgery in severe cases. Vet Solutions Universal medicated shampoo, which is very potent and effectively kills harmful bacteria and fungus on your dog’s skin. It is also very mild so your dog will not be harmed. SynergyLabs’ shampoos are known to be one of the best. Other than fighting off fungal infections, they are also great in preventing skin rashes and greasy hair on your dog. Bayer Maseleb Pet Shampoo is also a great choice for your pet. It is fragrance-free and has proved very effective against fungal infections. Nootie makes an antifungal dog shampoo that works– they also offer pet grooming products, both medicated and oatmeal shampoos- which reviewers on Amazon rave about their effectiveness for fungal infections and other bacterial infections as well. Never use human shampoo on your dog. Alcohol-based shampoos are not good for your pets since they are known to cause skin cancer. Always ensure that your dog is not allergic to any of the components in the shampoo before you purchase it. Buy organic or natural shampoos as they tend to be the safest. Make sure your dog does not ingest the shampoo. It might be harmful. If you love your pets, you will want the best for them so do not be afraid to splurge a little on shampoo that will work effectively in keeping your dog healthy. Cats and dogs, as they reach their old age start to experience what all living things have to go through. Be it a man, woman, cat, dog, or a horse, all of these and many other types of organisms get to an age where the naturally produced fluids in the body start to decrease gradually. Every part, no matter how small, helps in running the body of an organism smoothly. As the old age approaches, people slow down. It is because even though not a lot would confess, of the ever decreasing fluids in your joints keeping them well lubricated. This is exactly the case with dogs. When a dog stays with you for a long time you basically witness its youth and then its old age. The diagnosis that you or any other observer would then provide for an old dog would be based on the fact that the dog will be seen slouching, showing reluctance in climbing stairs, going on walks with you, etc. With research it was found that the reason behind these actions of dogs is the lack of production of glucosamine and chondroitin. Glucosamine and chondroitin are effective in improving dog’s joint health. They are initially present in a dog’s body in large quantities. Therefore, it is recommended that a dog be fed with glucosamine and chondroitin supplements. It obviously will not decrease the dog’s age but some of the effects of old age will be countered. One, glucosamine is a natural substance therefore no matter how much intake, it does not have many side effects. Or at least, the side effects resulting from a supplement digested will be from the share of the supplement that contains ingredients other than glucosamine. Two, it won’t just take care of the rough bones that resulted due to the use of ill-lubricated joints but also restore them to the time of the dog’s youth. And it will all be natural since the main element of the supplement is natural. Three, it is also anti-inflammatory, therefore, all the inflammations caused in the body due to old age will be taken care of. And the body, if not from the outside, then at least from the inside will be of a body of a dog’s youth. This will lessen the need for animal insurance and reduce potential veterinary bills. Four, the pain medications normally given to the dogs for the sole reason of taking care of old age pain, the use of them can be completely eliminated. Glucosamine, when ingested, basically removes the root cause of pain so dogs do not have to opt for pain medication which only reduces pain and doesn’t treat the root cause of the problem. It is given that as a pet owner you love your pet and would like to make it suffer less and less in its old age. Glucosamine can help.